Hello Hello! It’s been a hot minute since I did a beauty post, but I have a good reason. Remember that Whole 30 thing I did during March? I wanted to see the true impact it had on my skin, so I tried zero new products during the month of March. While I was half tempted to immediately try all the new skincare products when it was over, I knew I needed to give them each their own try out time so I could see their exact results, not a combo of multiple products. 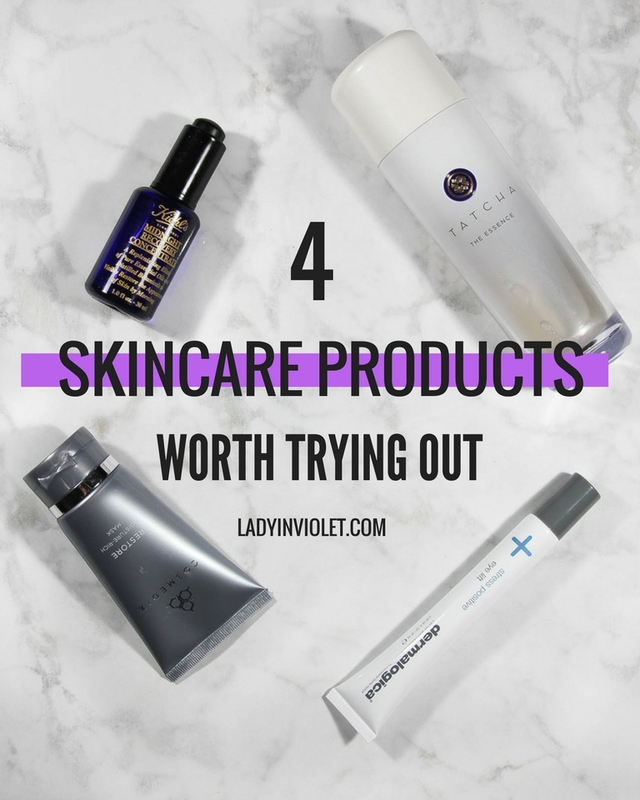 From what I have tried lately, these are the 4 skincare products worth trying out right now. 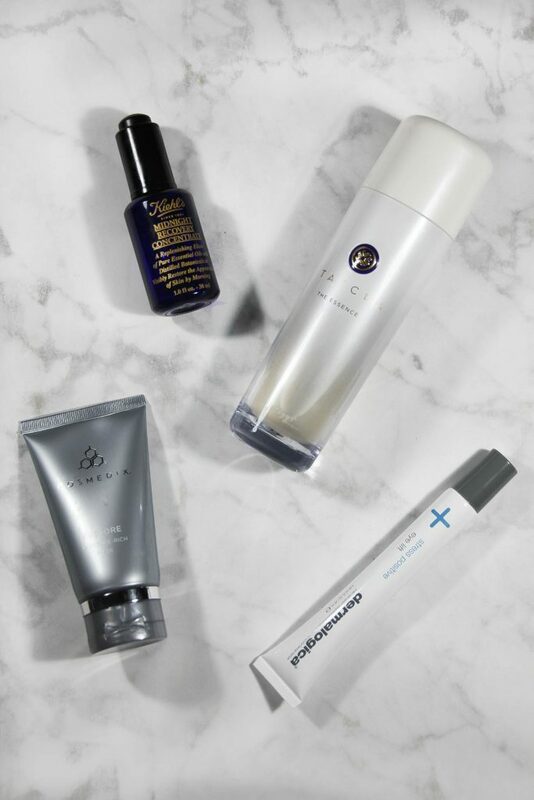 All 4 will leave your skin glowing, looking smoother, and hydrated. Now, let’s get on to the individual reviews. c/o DERMALOGICA STRESS POSITIVE EYE LIFT – The purpose of this product is to reduce the signs of stress like puffiness and dark circles and firm the skin around the eye for a lifted effect. I will say this product does what it promises. I love to apply in the morning after my shower. You apply it around your eye, let it set for a few minutes (while I make my coffee/breakfast), and then fully massage into the skin. Even with one use, you can start seeing improvements in dark circles. My favorite thing about this product is that it made my eyes look more awake. I love to use this after late nights to look way more awake than I might feel. KIEHLS MIDNIGHT RECOVERY CONCENTRATE – I’ve been dying to try this product for awhile now because of all the amazing hype it receives. This product is a blend of essential oils used to smooth and repair damage leaving you looking younger, smoother, and glowing. 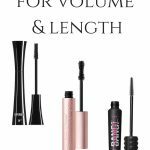 I love this product and think it lives up to the hype. My skin looks younger, healthier, and glowing in the morning. Forehead wrinkles seem banished for the day. Since this is an essential oil blend, it has a strong fragrance smell. I run oil diffusers all day, so the smell doesn’t bother me. If you are sensitive to strong smells, I would head to a Kiehls, Sephora, or Nordstrom to smell before purchasing. As much as I love this product, I’m 90% sure it’s been causing a few minor breakouts, so I probably will not buy again. I’m still testing to see if I’m 100% sure before I write it off, and I definitely plan on finishing the bottle! c/o TATCHA THE ESSENCE – This product was extremely intriguing to me. It’s basically like water (but filled with goodness) that you apply to your face. It promises anti-aging benefits, smoothing, and hydrating. I’m used to applying thick moisturizers and oils, so this thin water like products was very different from my normal. I was a little skeptical, but I actually really like it. I try out most skincare products at night, so they can work their magic while I sleep. Plus, I think how your skin looks in the morning when it’s been free of makeup and environmental factors can really help to evaluate how well a product is doing it’s job. I definitely noticed a more hydrated, smooth look after using this product. It mentions it will plump your skin which is basically reducing fine lines. After a few days of use I did notice improvement in this area. It’s quick and easy to apply too. 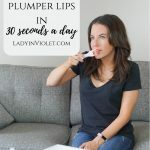 I think it’s great for those nights when you don’t want a long drawn out routine, just a quick few seconds and done. c/o COSMEDIX RESTORE FACE MASK – I’m closing out with this AMAZING moisture mask. I mean I can’t do a skincare post without a face mask. I’m too obsessed with them. This one is a litle different though. It’s more like super thick moisturizer. You apply like a mask, let set, and then lightly rinse off or blot away excess. I would compare it kind of to a leave in conditioner. This hydrating mask is perfect right before bed. It’s super hydrating and moisture rich as described. 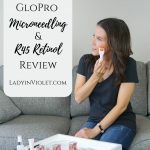 After the 10-15 minutes are up, I notice a major improvement in fine lines, my skin was glowing, and was so soft. I will definitely be adding this little gem into my regular rotation, especially on days when my skin feels dry. Have you tried any of these yet? Thinking about trying one out? I would love to hear your results. I find products work different for everyone, so I am always curious to hear about others experinces. You didn’t think I was going to not mention all the AMAZING Memorial Day Sales, did you?!? Ya’ll, you know I love a good sale. I’m working on a round up of my favorite picks from the Nordstrom Half Yearly Sale, so I will probably have that one up this weekend. If you want me to share the best of a certain area like jeans, sandals, workwear, let me know in the comments and I can include it. I hope you all have a wonderful and safe holiday weekend, and don’t forget to take a moment to give thanks to those who lost their lives defending our freedom and country. Thanks for stopping by, make it a GREAT Day! I have never heard of them! I will def be checking them out! i always have so much fun trying out new skincare products! that under-eye cream sounds incredible to me (i have dark circles that could rival a raccoon) and the mask! i’ve heard good things about that mask several times lately – guess i gotta try it! I’ve never tried any of these brands but they all sound like products I should check out. Midnight recovery is my all time favorite!! Love it!! I love trying new skincare products. I could totoslly use some glowing skin! Need to try this face mask out! 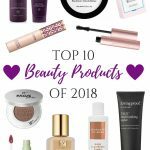 Loved reading your review on all of these items. Love this! That midnight recovery product sounds amazing. I am OBSESSED with Tatcha products! They are amazing for my combo skin!